This will soon be a new section, dedicated to woodworking tools with a starting focus on carving tools. Carving tools are, well, the base of carving. This section will cover the extensive history the evolution of woodcarving tools including content on metallurgy and follow tool development through the great periods. 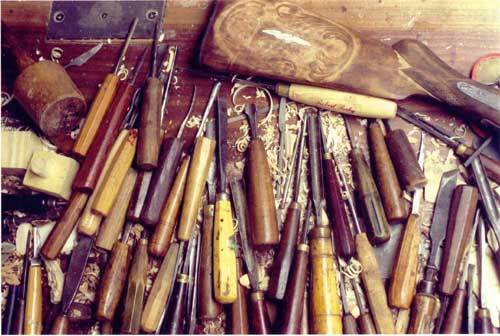 Understanding tools, modern and antique, is an absolute necessity for a carver. Making tools is a trade in itself, but sharpening is almost a daily task to keep a fine set of working tools in condition. A carver who can sharpen can safe himself a fortune in time and fees.